As with my other pages I chose not to use thumbnails, I felt it might be redundant since you would probably end up opening most of them anyway. Instead I have just put a couple of pics on each page. This picture was taken at the former pinball plant in Waukengan. They had just recently moved all the parts inventory out to this location. It was taken four days before they "shutdown" the pinball division. 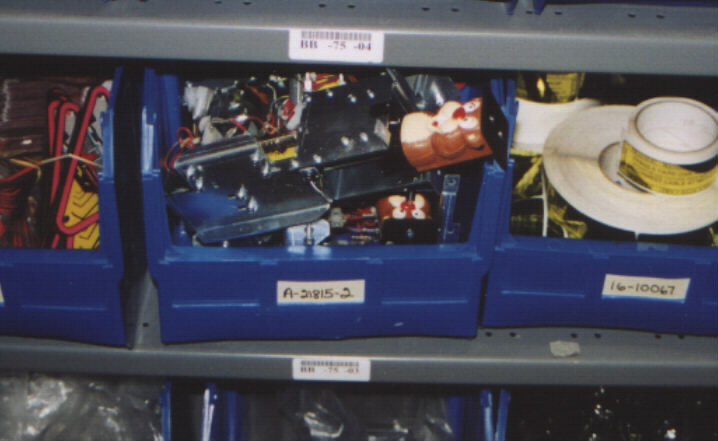 The top shelf is boxes of ramps and below them are stacks of NOS playfields. Below are some bins that had parts in them as we walked through the isles. 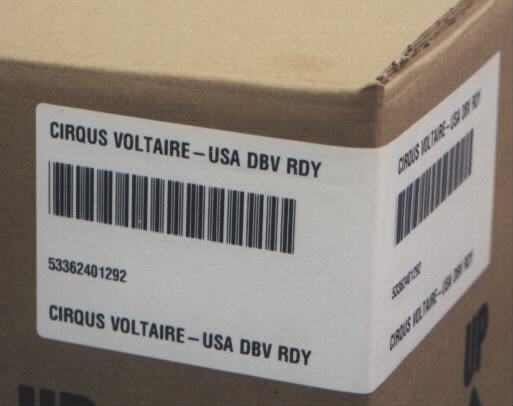 Is this your Cirqus Voltaire? 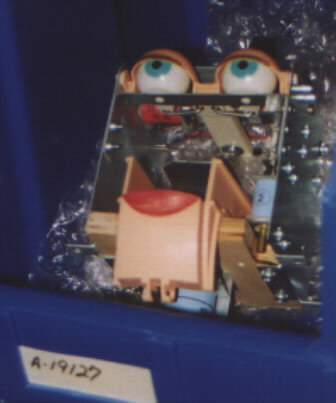 This was taken the at the factory right after it was boxed up, so basically I saw your game packaged and can tell you of the glorious event in detail. Seriously if it is your game, I can mail the picture to you if you'd like. Next page of pics please. No, let's head to the main page.